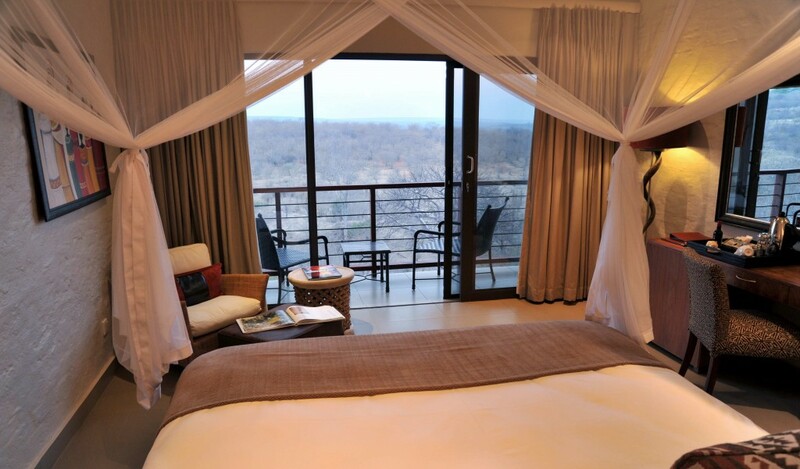 If you’re headed to this beautiful southern African country and are looking for a place to sleep – be it in Harare, Bulawayo, Hwange or Victoria Falls — we’ve got you covered. 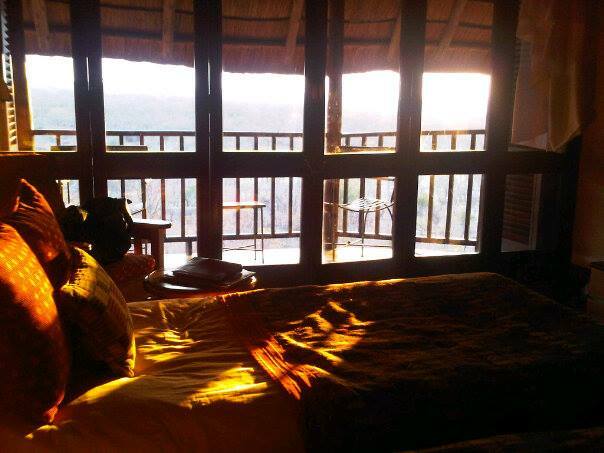 Here are 10 fantastic places to stay in Zimbabwe. This article originally appeared on AFKInsider.com. Meikles Hotel: Historical trivia buffs should check out the two lions keeping watch from the cupola over Second Street at Harare’s posh hotel, the Meikles. According to the leather-bound information manuals found inside the colonial era rooms, these jungle kings would roar their approval every time a virgin passed when the hotel opened in 1915. Planning to celebrate a century of continuous operation in 2015, the family-owned Meikles occupies a prime spot in the central business district overlooking Africa Unity Square. It is popular with visiting dignitaries and VIPs. Plain-clothes security guards kept watch over a room down the hall from me during my stay. 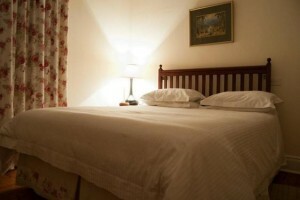 Bronte Hotel: Laid out around two swimming pools and beautifully manicured gardens that are home to museum-quality Shona sculptures, the colonial-style Bronte has long been the Harare hotel of choice for NGOs, friends of ex-pats and savvy business travelers. The Avenues neighborhood location is ideal for doing business: it’s just east of the central business district proper, but still within walking distance, offering the accessibility of downtown with the comfort and space of suburbia. 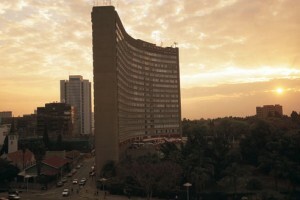 Crowne Plaza Monomotapa: A large western hotel managed by South Africa’s excellent Sun Hotel Group and part of the Intercontinental Hotels conglomerate, the four-star Monomotapa has been a central business district stalwart for decades now. Rooms inside the unique concave-shaped building are divinely comfy with true double rather than twin-only rooms. The sheets were starched but not scratchy and the choice of pillow styles – from fluffy to firm – was excellent. The Monomotapa is used to catering to business travelers and has seven dedicated meeting suites and the ability to host up to 250 people at a conference or reception. 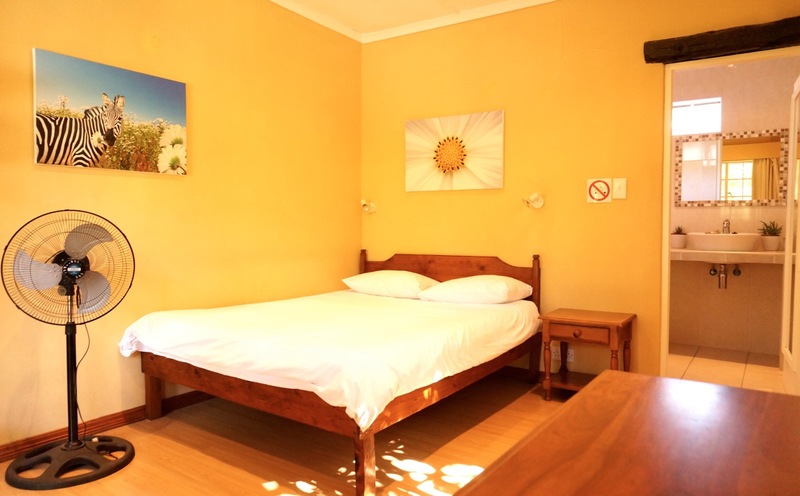 Traveller’s Guesthouse: In the leafy Hillside suburb east of the city center, this darling guesthouse is an affordable retreat that feels like staying in someone’s carefully decorated home. 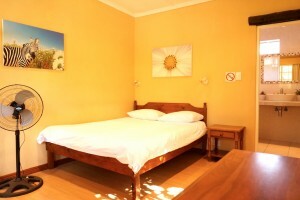 With a designer self-catering kitchen and lounge, lovely garden area and a swimming pool, all for guests to use, it has more of a chilled-out backpacker vibe than the larger hotels, and is an excellent choice if you’re looking to strike up a conversation with other global road warriors. Bulawayo Club: Stepping into the gracefully aging Bulawayo Club, right in the city center, is like entering the colonial twilight zone. Until recently it was a gentleman’s club (women were only allowed into the bar in 2013). Staying here feels like tripping back in time to colonial Rhodesia, from old photographs of British royalty and gilded oil paintings of steeplechasers and hunting horses to the in-room TVs with just two channels that can only be changed by reception. There is one major change: the management is African and blacks are more than welcome. Victoria Falls Safari Lodge: The only hotel in Victoria Falls to make the Condé Nast Traveler Gold List, the Victoria Falls Safari Lodge is an impressive thatch-and-timber masterpiece perched on a hill overlooking a waterhole and a semi-arid landscape of baobab, teak and Mopani trees about a five-minute drive from the “Smoke That Thunders.” Warthogs graze peacefully on the front lawn and a dancer in traditional garb greets arriving guests at this four-star property. The complimentary bloody Mary bar included with breakfast was a unique perk. 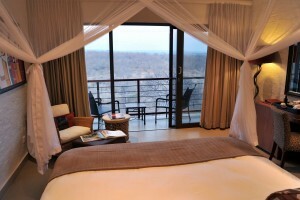 Victoria Falls Safari Club: The rooms and suites at the five-star Victoria Falls Safari Club are unique, ultra-modern affairs unlike anything else you’ll see in town. 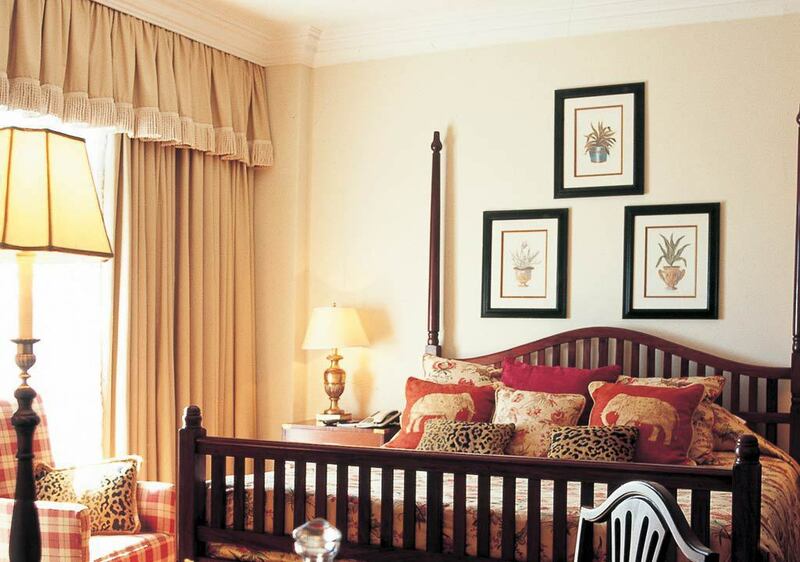 I loved the white-on-white décor sprinkled with a hint of color from bright African paintings and burnished crimson lampshades and bed runners. I also dug the open floor-plan style with a wall of sliding glass doors, which open onto a private balcony overlooking the bush. Lokuthula Lodges: Just a five-minute drive from Victoria Falls town, Lokuthula’s thatched-roof, self-catering bungalows are a perfect fit for families or business incentive group retreats. Unlike most places in town, more than two guests can book into a bungalow here. They sit on well-maintained grounds where warthogs graze. Views include the unfenced Zambezi National Park and its semi-arid bush landscape of mopani (balsam tree) and baobab, lilies and Zimbabwe creepers. 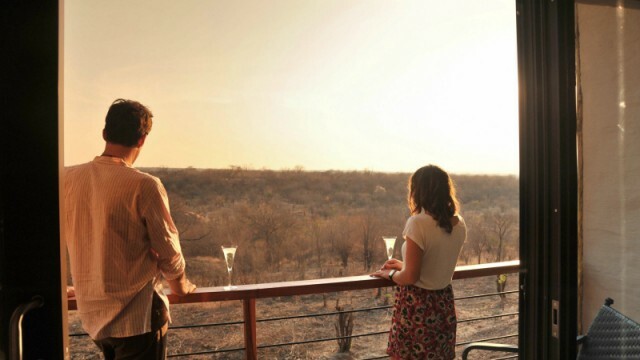 Ivory Lodge: Located at the edge of a favorite elephant watering hole in the bush, this intimate and beautiful safari lodge offers accommodations in elevated tree-house chalets. 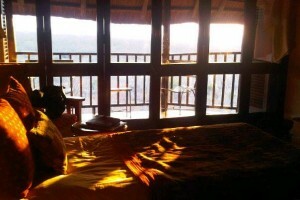 While fairly open, these intimate bush digs are also high-up enough to be far out of elephant stomping range. 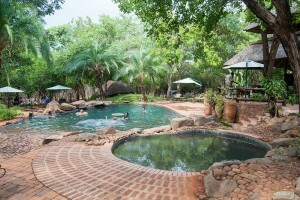 Rates at Ivory Lodge include all meals. The food was delicious. Alcohol and activities like game drives, walking safaris and visits to the Painted Dog Conservancy are extra. Becca Blond is an award-winning travel journalist who first fell in love with Africa during a college semester abroad in Harare, Zimbabwe. She has authored more than 30 Lonely Planet travel guides, including those for South Africa and Madagascar. She also writes for The Guardian (UK), the Los Angeles Times, Jetsetter, Travel Africa Magazine, and many other publications. When not on the road, Becca lives in Denver with her rescue dogs, Duke, an American Bulldog mix, and Bobbi, a ‘potcake’ from the Bahamas. Twitter: @PlanetBlond. Web: www.planetblond.com.